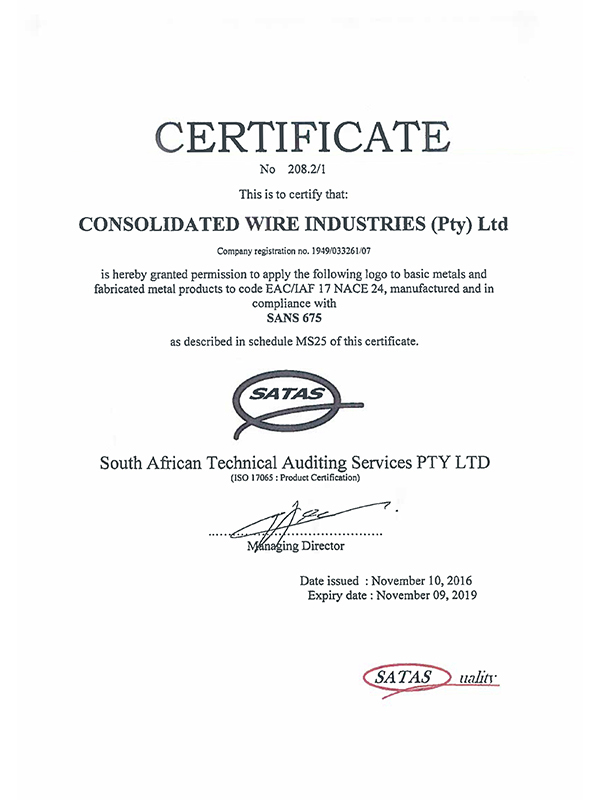 Consolidated Wire Industries, known as CWI, has been manufacturing premium mild steel wire and wire products in South Africa since 1949, producing wire for local and international markets alike. 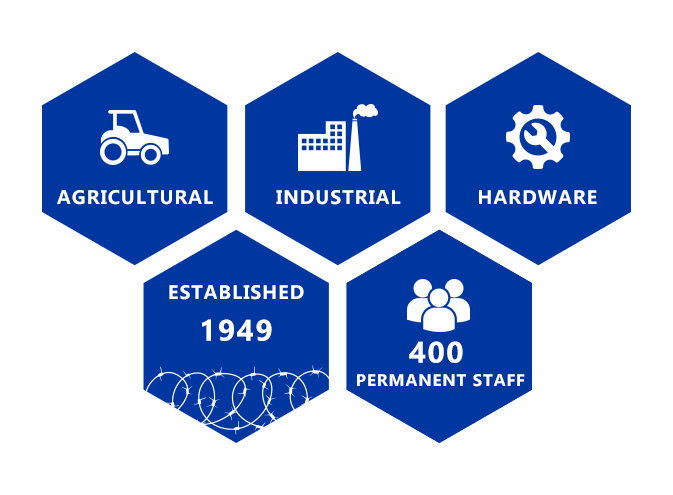 Its manufacturing plant situated in Vanderbijlpark has been operational since the early 1950’s and employs in excess of 400 permanent staff members. Our products conform to national and international specifications and are sold in various countries around the world including, Africa, Europe, Far East, Middle East, Australia and Canada. 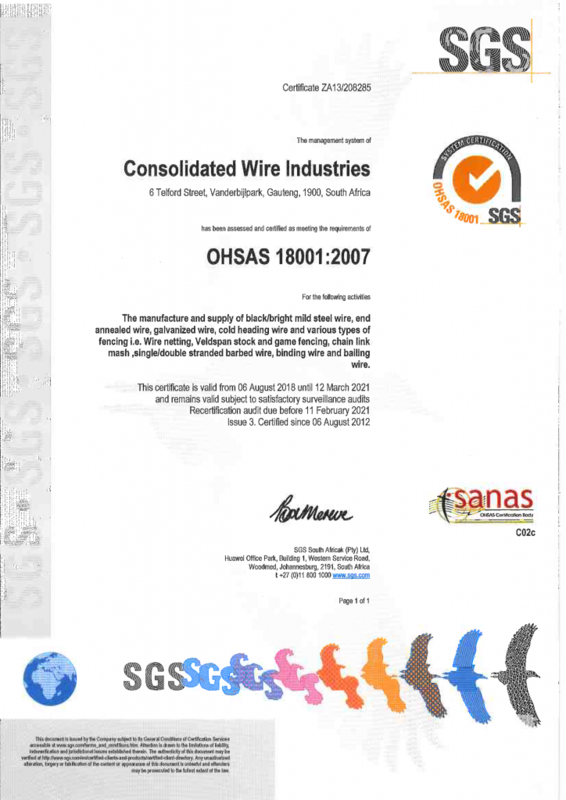 The factory is certified in compliance with the OHSAS18001:2007, ISO 14001:2004 and ISO 9001:2015 standards. 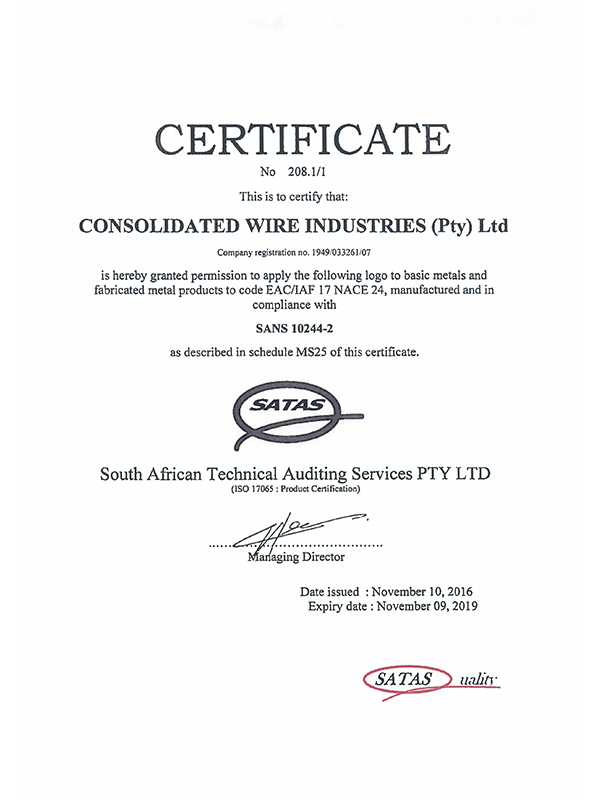 Products include process wire, bright/black and galvanised wire, as well as finished wire products such as woven mesh fencing, barbed wire, high-tensile fencing wire and wire for baling and binding. 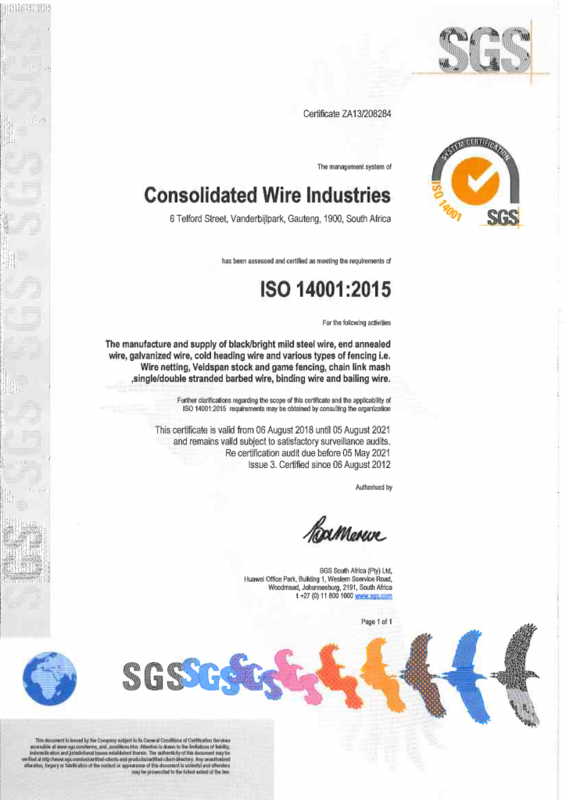 Black /bright process wire is used for the manufacture of nails, bolts and nuts, welding wire for electrodes and welded mesh for the manufacture of supermarket trolleys, racking/shop fittings etc. 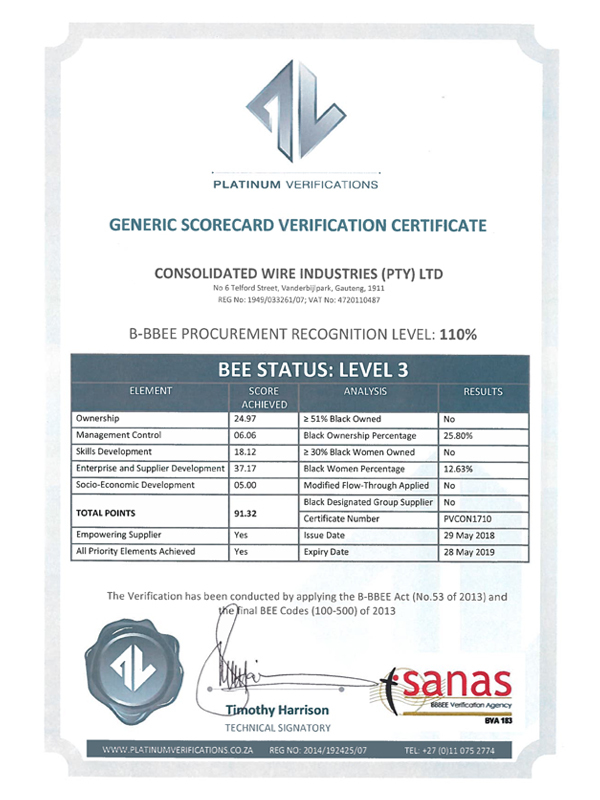 Galvanised wire is used for the manufacture of welded mesh for fencing, armouring of electric cables, baling of paper pulp and various fencing products which are also manufactured in-house by CWI. Ensuring that our products and service will meet or exceed the expectation of our customers. Increasing the efficiency of our activities and processes to the benefit of all our stakeholders. Creating an environment that will enhance quality throughout our processes. 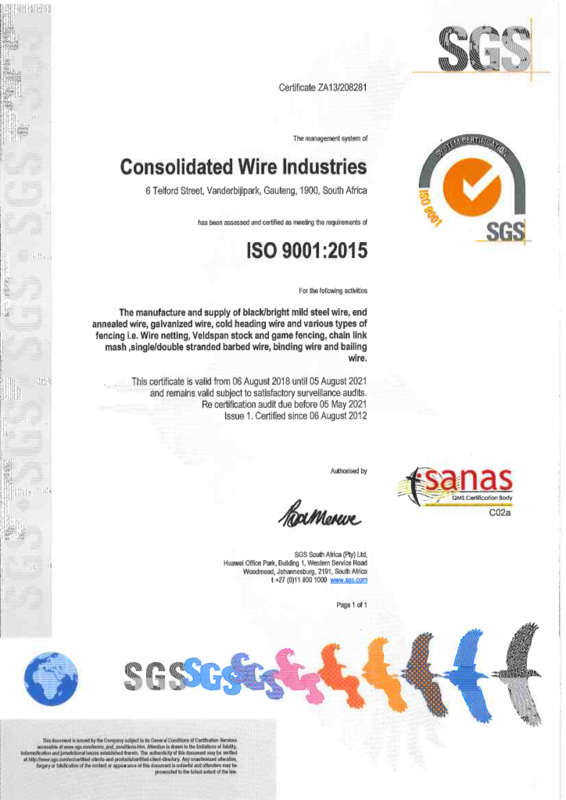 Continuously improving everything we do by applying the ISO 9001 : 2015 Quality Management System and Guidelines, with the participation of all employees. Application of new technology to continuously improve our processes and performance. Regular revision of objectives to ensure ongoing improvement.